BP’s announcement that it will pay $7.8 billion to compensate thousands of Gulf Coast residents harmed in the Deepwater Horizon disaster ends one chapter of legal wrangling over the 2010 oil spill, but leaves other, potentially far more expensive, issues unresolved. The tentative deal, announced late Friday, does not address state lawsuits and federal claims under the Clean Water Act and Oil Pollution Act, which could cost BP as much as $21 billion more. It has little to do with efforts to assess the extent of environmental damage and to pay for them; that will come later. And BP could still face criminal charges related to the oil spill and be barred from receiving federal contracts. The payout agreed to Friday is BP’s best estimate of what it will cost to meet outstanding claims, but is not capped and could wind up being higher. As of now, though, the amount is significantly less than many had expected and does not appear to require BP to spend any money that it had not already agreed to pay. The settlement will come out of a $20 billion fund set aside in June 2010 by BP at the behest of President Obama to cover claims from disaster victims. The settlement amounts to less than one-third of BP’s 2011 profits, which were nearly $26 billion. BP officials portrayed the settlement as one of a number of programs the company has undertaken to repay Gulf Coast residents, while assuring investors that the company has anticipated liabilities from the explosion and sinking of the Deepwater Horizon oil rig. 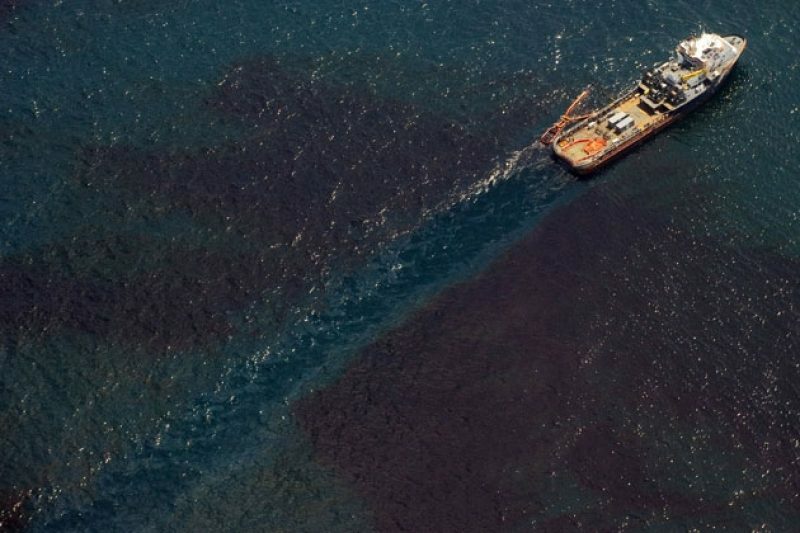 Eleven men died in the accident and more than 200 million gallons of oil spilled into the Gulf. "From the beginning, BP stepped up to meet our obligations to the communities in the Gulf Coast region, and we've worked hard to deliver on that commitment for nearly two years,” said Bob Dudley, BP’s CEO, in a statement issued Friday night. "The proposed settlement represents significant progress toward resolving issues from the Deepwater Horizon accident and contributing further to economic and environmental restoration efforts along the Gulf Coast." Others are already questioning whether the settlement terms are fair, however. The lawsuits were filed mostly by people who sought greater damages than were likely to be met by the Gulf Coast Claims Facility, the BP fund that has compensated residents for economic losses since mid-2010. But because the settlement will be paid out of the same fund, and amounts to a little more than half of what remains in it, it’s not yet clear how much plaintiffs will receive or what will happen to other claimants if the fund runs dry. A portion of the settlement also will go to lawyers involved in the case, whereas previously money in the BP fund had gone only to claimants. Even with Friday’s settlement, BP has several significant legal and financial hurdles left to cross. Nearly two years after the disaster, perceptions are still shifting about how much damage it has done. As oil washed ashore on hundreds of miles of coastline and the Gulf’s tourism and fishing industries faltered, President Obama called the spill “the worst environmental disaster America has ever faced.” Since then, some experts have said the oil dissipated faster than expected and the long-term harm was less than predicted. Yet even now, tar balls are still turning up on beaches, residents complain of health problems due to the spill or chemical dispersants used to clean it up, and an increasing number of dolphin deaths have raised biologists’ concerns. Environmental scientists say it will be years before the true extent of the disaster can be known, making the next round of litigation for BP even more complicated. Friday’s settlement effectively split off individual claims from the thornier issues of assessing and paying for long-term environmental damage. Those questions will begin to be addressed in the civil suits brought by several states and the U.S. government under the Clean Water Act and Oil Pollution Act alleging BP acted negligently. After the spill, several government investigations found that BP and its contractors made careless missteps in the final hours of drilling its complex oil well in mile-deep water. The Department of Justice also is conducting a criminal investigation into the Gulf spill and may bring charges under the Clean Water Act. Officials have said that they are weighing whether to prosecute individual BP executives for decisions made in the days leading up to the deadly explosion, as well as charges against the corporation itself. The actions triggered by the Gulf spill capped more than a decade of accidents and criminal and civil cases brought against BP, following several oil spills in Alaska, the deadly explosion of the company’s refinery in Texas City, and a scandal in which BP was accused of manipulating propane prices. BP’s track record may make it vulnerable to the ultimate civil sanction: a decision by the Environmental Protection Agency to disqualify the company from future federal contracts including leases to drill, a penalty called debarment. The case partially settled Friday consolidated thousands of individual, state and federal lawsuits brought against the company into one mammoth case that was to be tried in U.S. District Court in New Orleans. Judge Carl Barbier – who delayed the trial’s Feb. 27 start so that a settlement could be reached -- had planned for the case to unfold in three stages: the first to establish BP’s liability and whether the company was negligent, factors that would have dictated the severity of damages under the Clean Water Act and the Oil Pollution Act; and later stages assessing mistakes made in drilling operations and the spill’s environmental toll on Gulf ecosystems. At one point, BP said a trial could go on for more than a year. The federal suits that remain unresolved may turn out to be the most expensive. They depend largely on whether BP is found to have been grossly negligent in its handling of the Deepwater Horizon disaster, and on how much oil is determined to have seeped into the Gulf. Federal law allows for the company to be fined $1,100 per barrel under normal circumstances, and as much as $4,300 per barrel if it was grossly negligent. Under the current estimate, 4.9 million barrels of oil spilled, BP could face up to $21 billion in additional fines. The exact amount of oil spilled continues to be a matter of debate, however. The Coast Guard initially estimated that the amount of oil flowing into the Gulf was about 42,000 gallons a day. Eventually, the government concluded the number was much higher -- 2.4 million gallons a day, or 206 million gallons total -- but BP disputed those figures. BP has said that it has set aside a total of $37.2 billion to pay for damages related to the spill. Of that, the company estimates it has already spent $22 billion on Gulf coast cleanup and restoration, including at least $6.1 billion through the claims facility. The latest $7.8 billion settlement includes $2.3 billion slated to help resolve issues related to the Gulf seafood industry, and appears to bring the company within about $7 billion of its stated budget, a figure that could be eclipsed as the remaining components of the lawsuits go forward. The deal is divided into a fund for economic claims, and one for health-related issues, which covers plaintiffs’ current medical conditions and also provides funds for a 21-year program to address future health care claims and issues as they arise. It provides $105 million to support health care in Gulf communities that is payable immediately, even though the settlement overall is still subject to review and approval. Abrahm Lustgarten is the author of “Run to Failure: BP and the Making of the Deepwater Horizon Disaster,” which will be published on March 26.